Among the common problems that seem small but can turn out to be very big is a leaky faucet in your Annapolis home. While many people would find these to be small problems that are annoying, if left unchecked, a big leaky faucet can get out of control. It is important to fix the faucet. In order to fix the faucet, you must know the methods of doing so. When trying to decide what to do about the slow leak, it is important to know some facts about the leak. When you get some facts, then you will know that a leaky faucet is nothing to play with. It can cost you financially and could even do some damage to your home depending on where the faucet is leaking. For instance, you could be trying to save water, but because of a leaky faucet, you are left having to pay a large water bill. This is one of the most frustrating occurrences to deal with. There are many different causes of a leaky faucet. You need to make sure that you find the right problem to fix. If you fix the wrong component, you will find that the leak is still going. 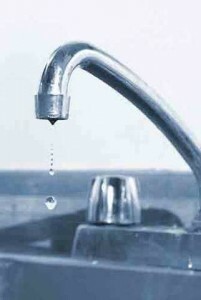 Instead, it is better to look at the faucet and see all of the possible causes of a leaky faucet. This could be anything from a worn seat washer, loose handle, broken seals, or anything else. In the case you can’t find the cause of the leak, you can always call a plumber to look at the leaky faucet. Plumbers are typically experienced with all aspects of plumbing which include handling the faucet and all of the problems that come with it. The plumber can look at your faucet and determine what is causing the leak and decide what can be done about it. He will also be able to replace the full faucet if it needs to be done. This will not only stop the annoying leaks but also save you money. There are plenty of plumbers in your Annapolis area that are experienced and have the skills to fix leaks. There are also plumbers that are available to perform regular checks on your faucet in order to make sure everything is working well. They will provide some of the best and most attentive service you could hope for. For service of the highest quality in your Annapolis, MD home, call Heidler Plumbing, INC at (410) 268-7191.